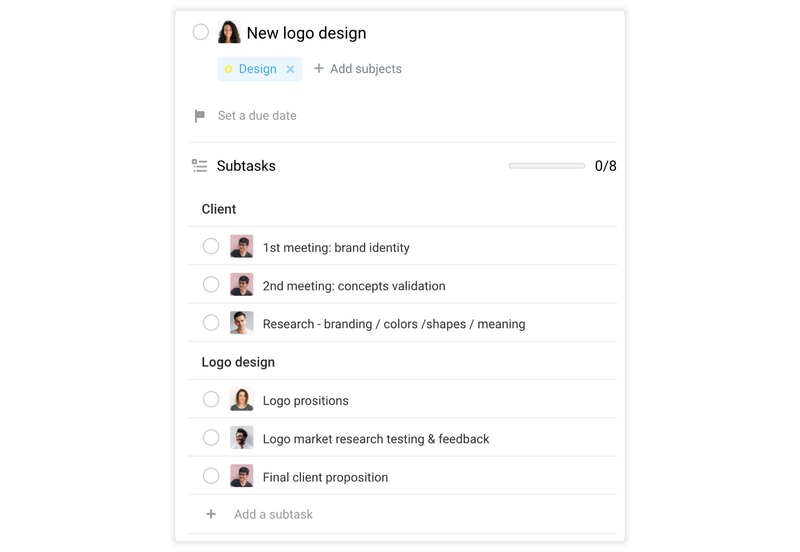 The new assigned subtasks bring a plethora of new possibilities. 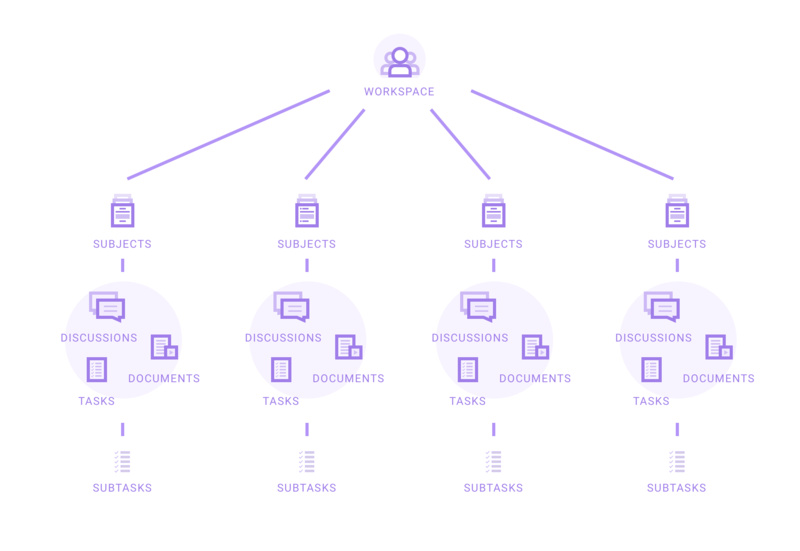 You can completely rethink how you organise your work in Azendoo. Or you can simply add a new layer to your current organisation. Let’s break down a few possibilities, which might help you get a better idea of how to organise your work in the best possible way. We are going to start from the simplest and move toward the most advanced way to successfully implement subtasks. The most basic subtask usage is to create subtasks as a simple list of items to check off before completing a given task. You get to divide your work into smaller chunks and keep the simplicity of Azendoo for your whole team. 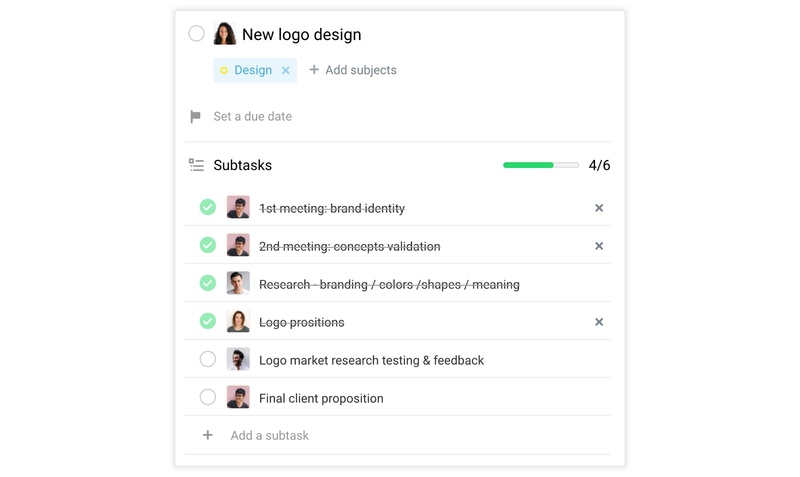 At the same time, functioning this way means not taking advantage of all the possibilities offered by the new subtasks, which includes subtasks becoming full tasks that can be assigned and more. Sections are great for dividing work within subjects and creating workflows in the board view. 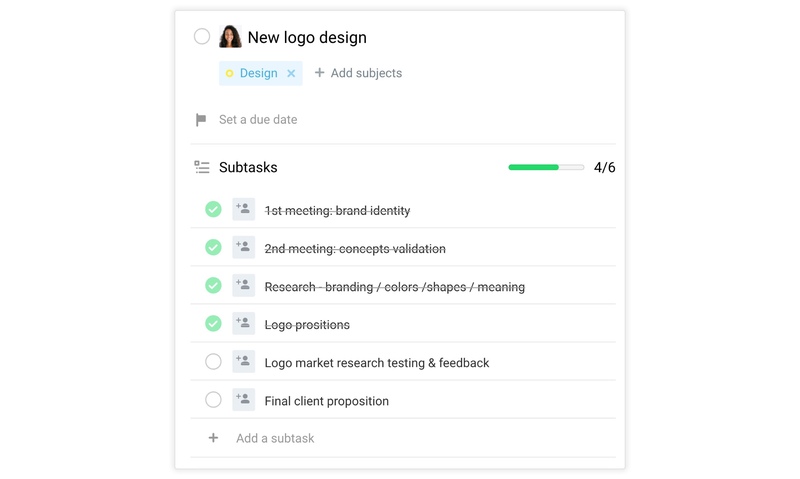 Subtasks bring a new possibility, and can replace sections when there is no workflow in place. Instead of separating your tasks into 5 sections for a total of 30 tasks, you could create 5 tasks and then 25 subtasks. Doing this allows you to have fewer tasks to follow up on. Take full advantage of the subtasks possibilities and assign the subtasks to their appropriate assignee. Before subtasks, we at Azendoo used to use the same task for all of the stages of a new feature. It would go from its conception, assigned to someone from the product team, then would be reassigned to a designer and shared in the design subject. Later, the same task would get assigned to a developer when feature development began. We used follow-up tasks of the feature task for marketing as well. Now we proceed differently. The parent task is unassigned and we create subtasks for each stage of development, with their own assignees and subjects. This way, the work and information is divided in a logical manner and everyone can include these tasks in their weekly schedule. Following up on progress is more visual with the subtasks progress bar. The only drawback, if you as a team aren’t careful, is that important information can be shared in subtasks, which might result in some team members not seeing that information. To make sure this does not happen, have all your team members share important information in the parent task, even if that means duplicating messages or documents. This will make it easier for everyone to find information. Up until now, subjects were the place where you could plan and execute processes. 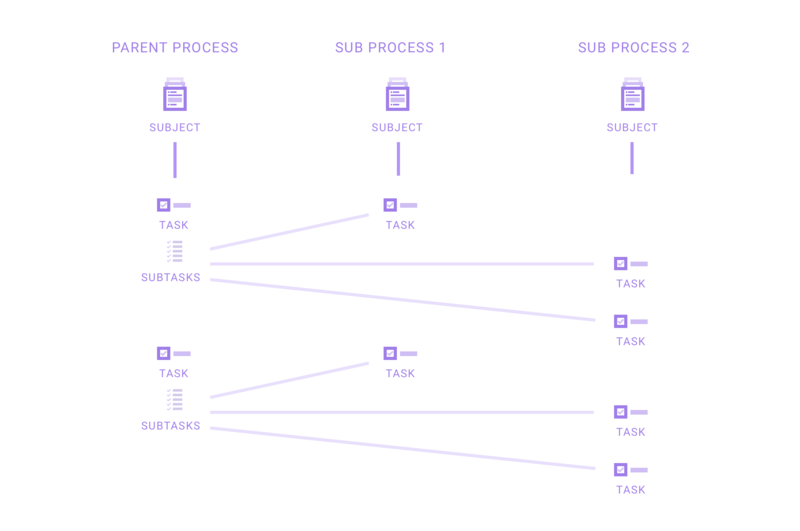 With the new subtasks, tasks can also host full processes - almost as well as subjects. But to manage somewhat complex processes, one needs separators to divide work into categories or stages. This is why we made sure sections are displayed correctly inside tasks as well. The benefit is that you can lay out your own processes inside a task, giving you more structure. The drawback is that information might not flow as well as it does inside a subject. This is the most advanced way to use subtasks in Azendoo, and the most beneficial in terms of organisation. Let’s go back to how we organise feature development at Azendoo. We have one parent task for the feature and then we create subtasks for each stage of development (conception, design, development). Now let’s add subjects into the mix. Say we have one subject for each of the previous stages, where all of the related subtasks will be shared. We also have another, higher level subject for parent tasks, called “roadmap”. Each parent task is shared on the roadmap subject, while subtasks are shared on other ‘sub processes’ subjects. This creates a consistent structure for your subjects, tasks and subtasks. Of course, you have to adapt the subjects to your own processes and workflows, but once you start organising your work this way, everything will be much easier to follow through to completion. There is no right or wrong way to organise your work in Azendoo. 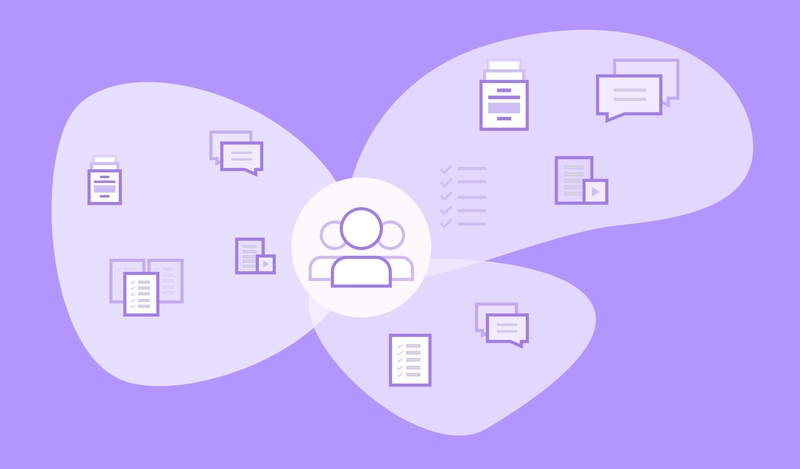 You’ll have to adapt your usage of Azendoo to your own processes, workflows, team members, and other factors. The key is to be flexible and to adapt your organisation to your context. For example at Azendoo, we do not use the structure above for every workflow. We use subtasks as checklists in some instances, and use them as workflows in others. It all depends on the context, the complexity of the subject at hand, and who is working on it. So take what you want from the examples above and make your own mix to best fit your team, clients, goals, workflows and organisation. The only advice that can be used in every organisation layout is to inform the rest of the team as to how each subject is structured or organised. You can do so in the subject purpose section, in a pinned conversation message, or in a README task on the top of your list / board. I hope this article helped you get a better idea of how to structure your work in Azendoo. If you have ideas or suggestions for other ways to get organised in Azendoo, please share them in the comment section below.